The Succulent Plant Page - What is a succulent plant ? 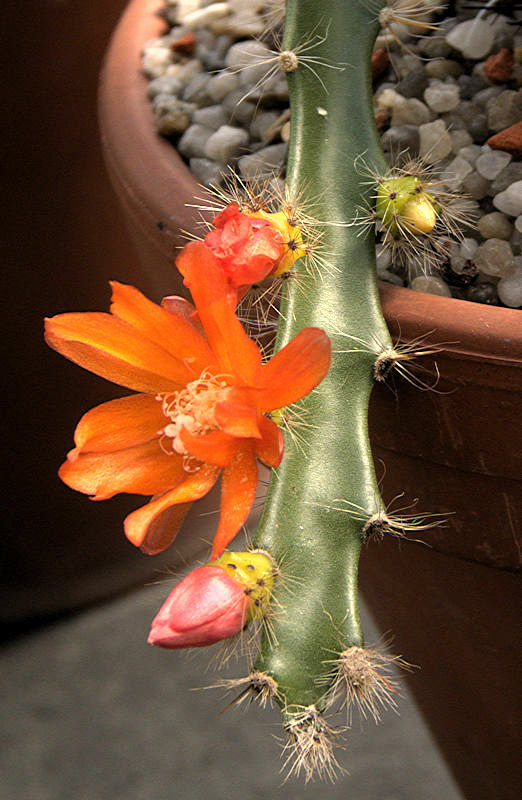 an epiphytic cactus from Bolivia, with succulent stems and a striking orange flower. The angular photosynthetic stems have well spaced areoles furnished with white wool, bristles and fine spines. Even the ovary at the base of the flowers is spiny. are found in more than 60 families and 300 genera. 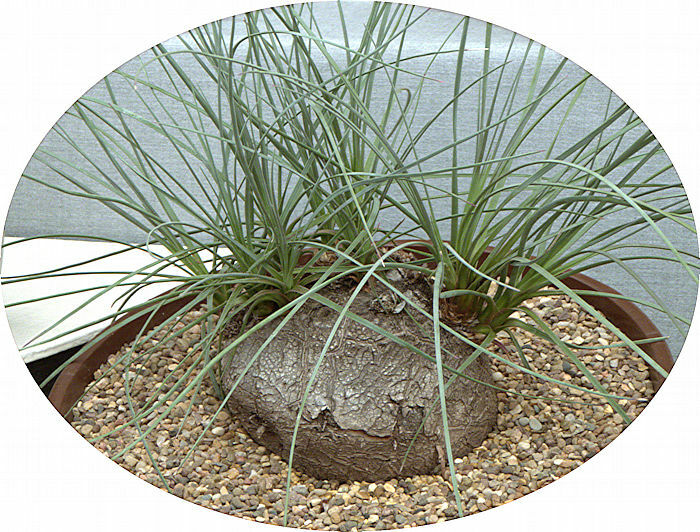 They have evolved special water-storage tissues in thickened or swollen leaves, stems or roots as an adaptation to the arid climates of deserts and semi-deserts. Many of these habitats are associated with high day-time temperatures and special mechanisms have evolved to collect and conserve the limited moisture that is available, sometimes only from dews, mists and fogs. One mechanism is to grow a wide array of very shallow roots that can absorb sparse moisture from dews and brief showers of rain. By making the most of scarce available moisture, succulents survive in habitats that are far too dry for most other plants. Water-filled tissues make succulent plants vulnerable to freezing conditions, but there are hardy exceptions. Many succulents tolerate a degree of dry cold but most will not stand cold wet conditions for long. Thickened fleshy leaves and globose stems minimise the surface area through which water is lost. Their waxy cuticles provide a physical barrier to loss of water. Surface hairs or spines on leaves and stems provide a microenvironment of reduced air movement close to the plant that also reduces transpiration. Some succulents have small or vestigial leaves, with sunlight mostly harvested by their green photosynthetic stems. Crassulacean Acid Metabolism (CAM) is a common biochemical strategy of succulent plants to minimize water loss. Carbon-dioxide taken up during the cool night is stored as organic acids to make carbon available for photosynthetic fixation to sugars while stomata are closed to conserve water in the heat of the day. The presence of organic acids makes CAM plants unpalatable to herbivores while helping some species to resist freezing. Convergent evolution has often found similar solutions to the problems of living in a harsh environment. It may be obvious that similar looking succulent plants belong to different families only when they are flowering, or from DNA analysis. The organisation of plants into families is being revised, thanks to advances in DNA technology showing how plant species are related. Some plant families are mostly non-succulent and include just a few succulent members that are adapted to particular niches in challenging environments. Other plant families are almost all succulent. Leaf Succulents: Their fleshy leaves are almost entirely composed of water storage cells covered by a thin layer of photosynthetic tissue and a waxy cuticle. Stomata are often fewer in number than in many non-succulent plants. Translucent windows in the top surface of some leaf succulents allows light to penetrate deep into their tissues even when the majority of the leaf is buried in the substrate. Muscilage within the leaf helps to retain water and resist extremes of temperature. Examples: Aloe, Haworthia, Lithops, Sempervivum. Stem Succulents: Fleshy stems contain water storage cells overlaid by photosynthetic tissue. Leaves are almost or entirely absent, reducing surface area to prevent evaporative loss of water. Ribbed stems allow for rapid expansion to accommodate water taken up after infrequent rain, without the stem cracking. 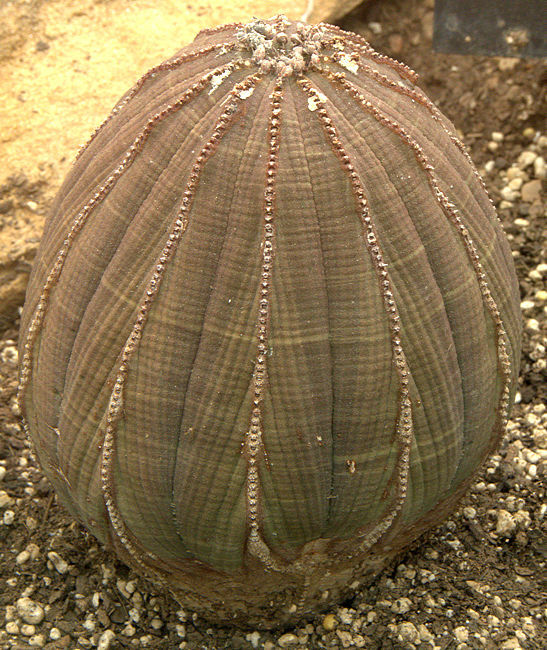 Examples: most cacti, Euphorbia obesa, Stapelia. 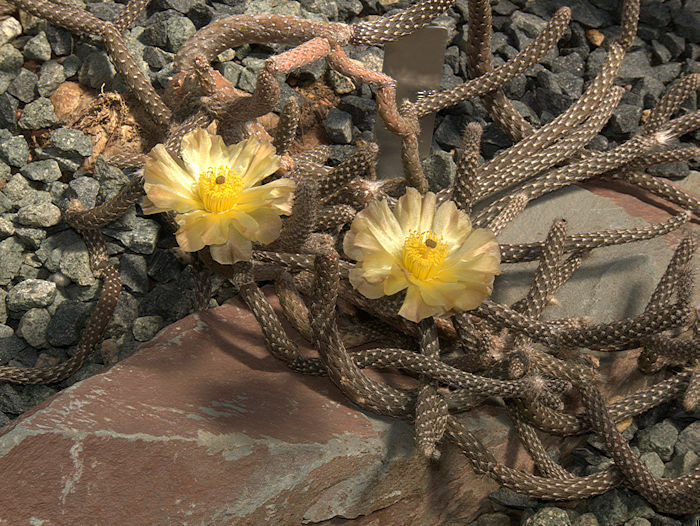 Cacti are an important group of stem succulents, in which distinctive modified buds have evolved into specialised areoles from which grow multiple spines, hairs and glochids. Many species of cacti have lost or greatly reduced their leaves to minimise surface area and transpiration. However, there are a few leafy cacti as a reminder that the cactus family originated as spiny shrubs. Most cacti are succulents, but the majority of succulents are not cacti. Root Succulents: Swollen fleshy roots store water underground away from the heat of the sun and hungry animals. Stems and leaves are often deciduous and shed during prolonged dry seasons. 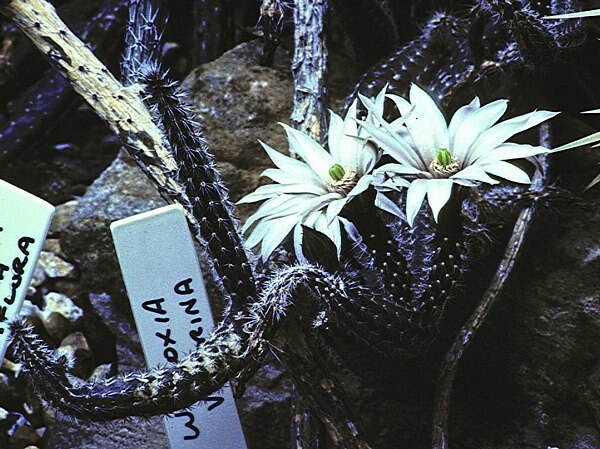 Examples: Fockea capensis, Pterocactus kunzei, Peniocereus viperinus. 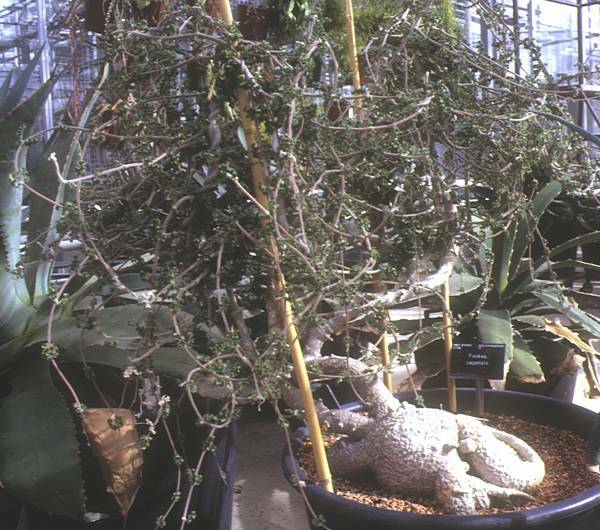 Caudiciform Succulents store water in both roots and swollen stems, with either deciduous or long-lived fleshy succulent leaves. 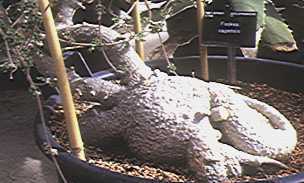 Examples: Calibanus hookeri, Ceraria pygmaea, Pachypodium, Tylecodon, Cyphostemma juttae. 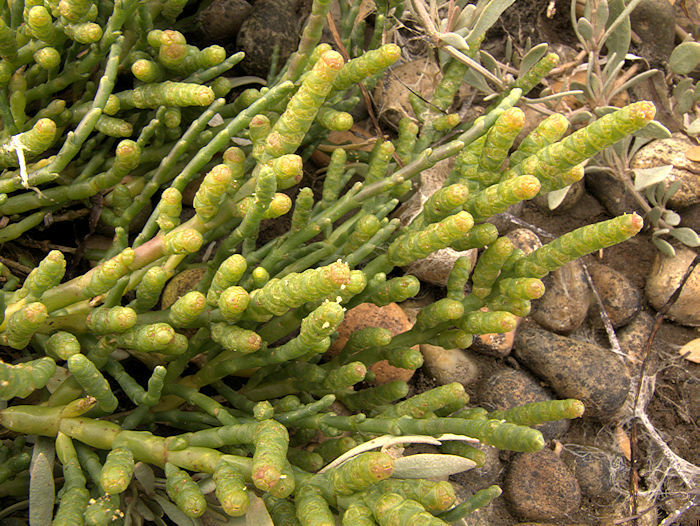 Halophyte Succulents are able to survive in salty desert or marine environments by biochemical resistance to salt, sequestering salt from the cytoplasm in special vacuoles or by excreting salt. Salts often accumulate in arid soils so salt tolerance is more common among succulent plants than one might imagine. 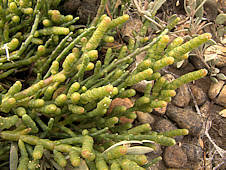 Examples: Salicornia, Sarcocornia. 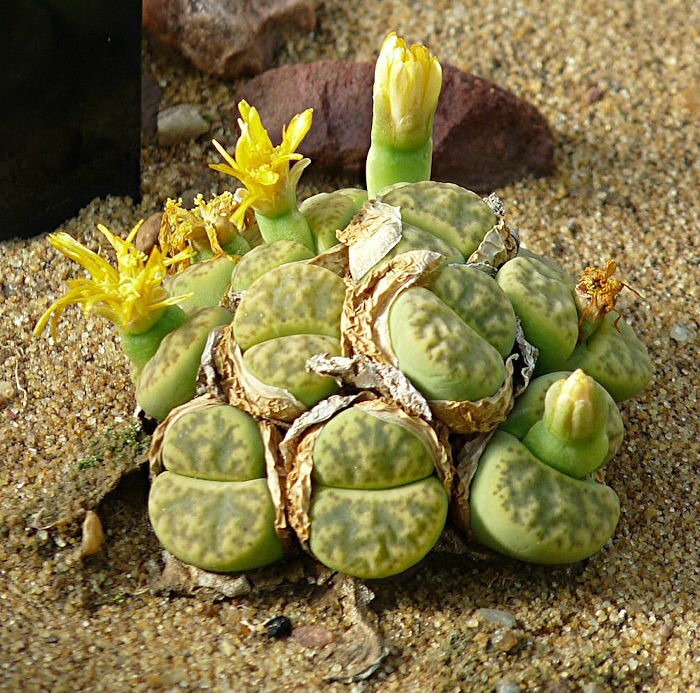 The above mechanisms for coping with dry conditions may occur in combination, with more than one organ used to store water, but not all mechanisms will be seen together in many succulent plants. Sadly, like many other flora and fauna, succulent plants are under pressure throughout the world from encroaching urbanisation, agriculture and the depredations of widespread non-indigenous livestock such as goats. While these pressures may be inevitable as human populations grow, there is much that succulent plant enthusiasts can do to promote the conservation and survival of this interesting group of plants.